Great Aunt Mary Carman Wilmot & her husband Richard Benjamin Wilmot at home at the Carman Donation Land Claim. 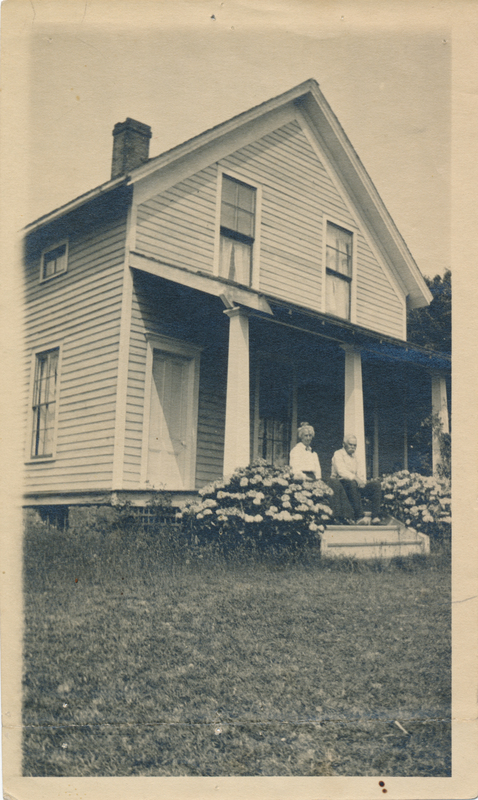 Description Photograph of Mary and Richard Wilmot on the front steps of their home on the Carman DLC. Photo courtesy of Gary Glenn. Transcription Great Aunt Mary Carman Wilmot & her husband Richard Benjamin Wilmot at home at the Carman Donation Land Claim.